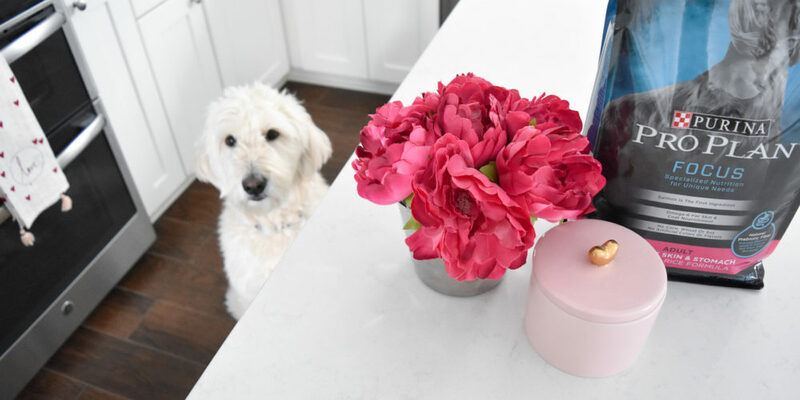 When it comes to having dogs as part of your family, you know that bunches of extra love and joy will be in your life on a daily basis! Our dogs, in particular, are SO loving and (for the most part) pretty obedient! We always ensure we celebrate the little wins they achieve with them! It’s only fair, right?! 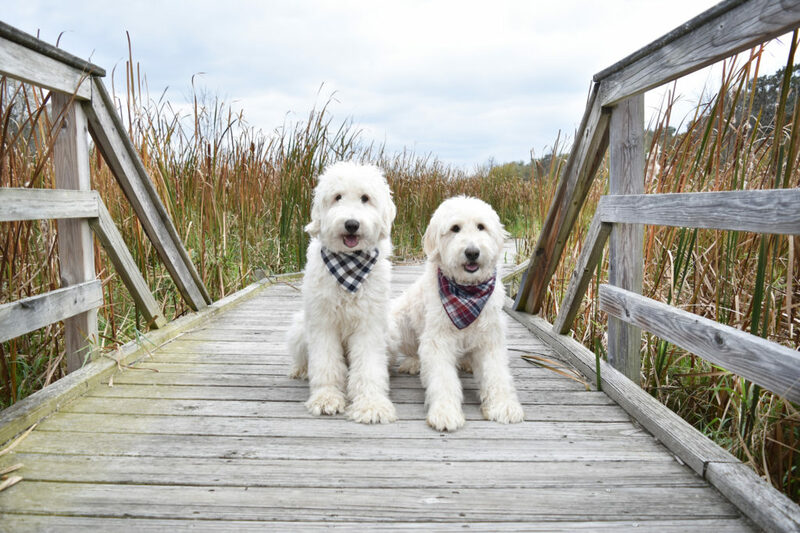 🙂 Some of their favorite things to do are the typical walks outside, playing fetch, cuddling, playing tug, swimming in the pond, watching “doggies on TV,” car rides, and shopping in dog-friendly stores! 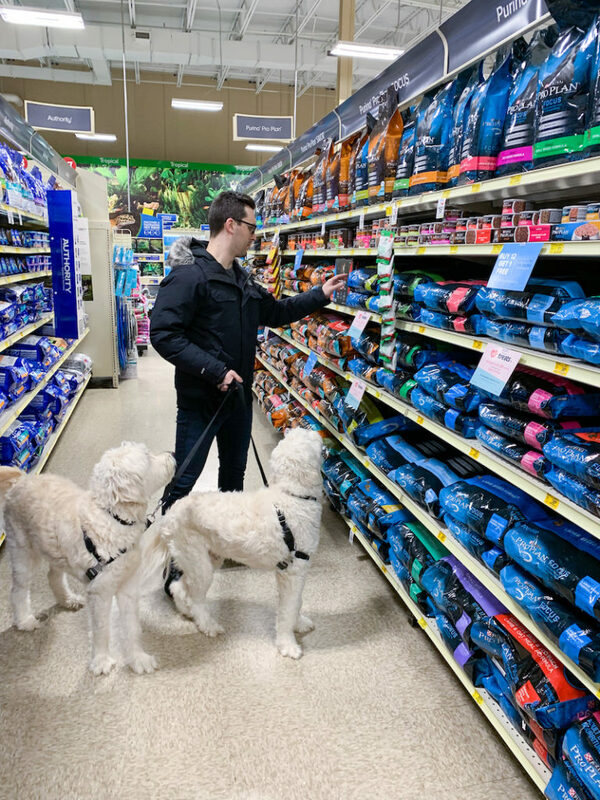 This past week we took them on a car ride to our local PetSmart to pick up some Purina® Pro Plan® Focus® Sensitive Skin & Stomach Salmon & Rice since Ollie was having a bit of a sensitive tummy lately. 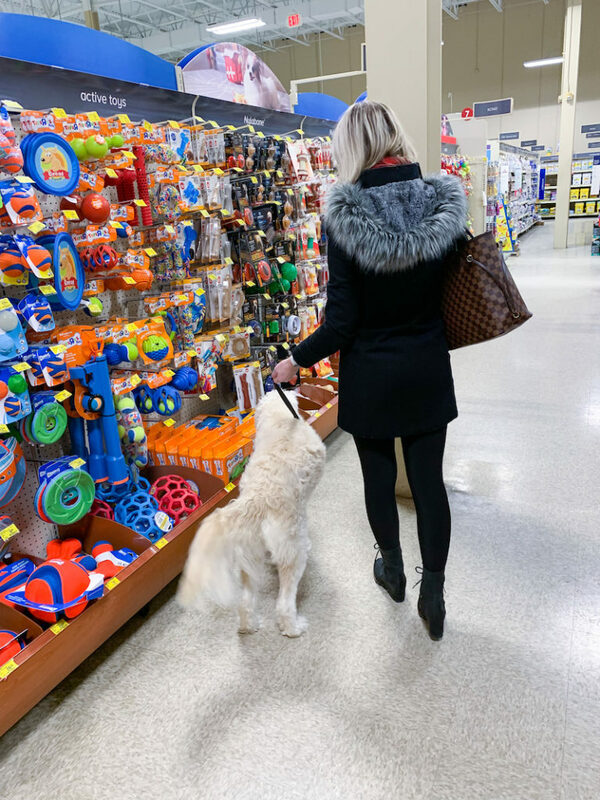 When we arrived, we knew we were headed to the Purina® section, first. Did you know that Purina® has 70+ formulas that deliver advanced nutrition and outstanding taste to your pet? 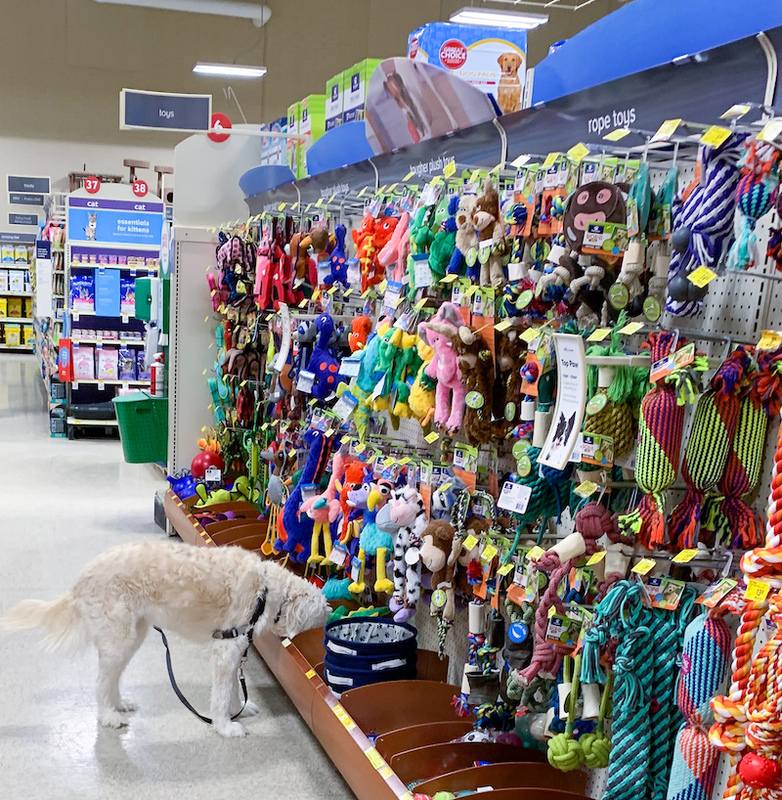 As you can see, this aisle in PetSmart had lots of choices! We quickly grabbed the Pro Plan® Focus® Sensitive Skin & Stomach Salmon & Rice and dropped it in our cart. 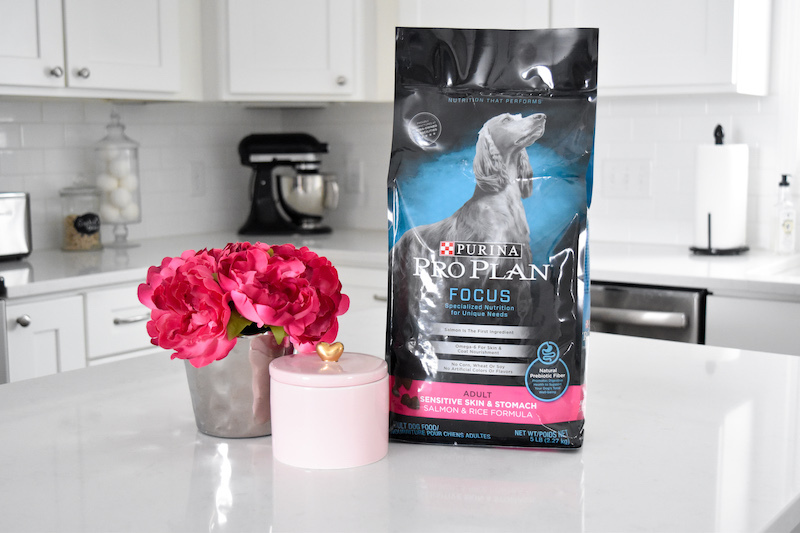 The Purina® Focus® dog food is formulated with key nutrients that support specific nutritional needs based on life stage, lifestyle, size of the breed, or other needs. In addition, real protein in the #1 ingredient in all dry formulas! (For more details, visit ProPlan.com/Focus). 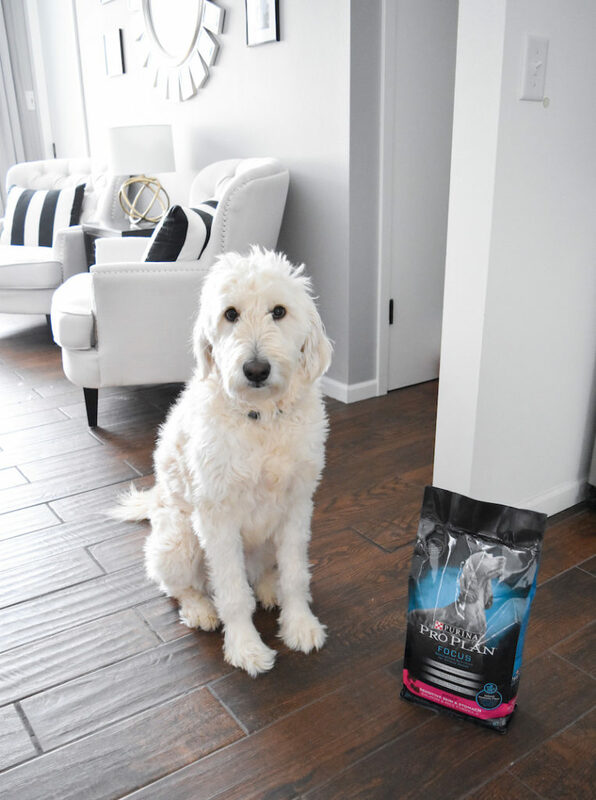 The particular formula that we purchased is great for dogs with sensitive skin and stomachs! 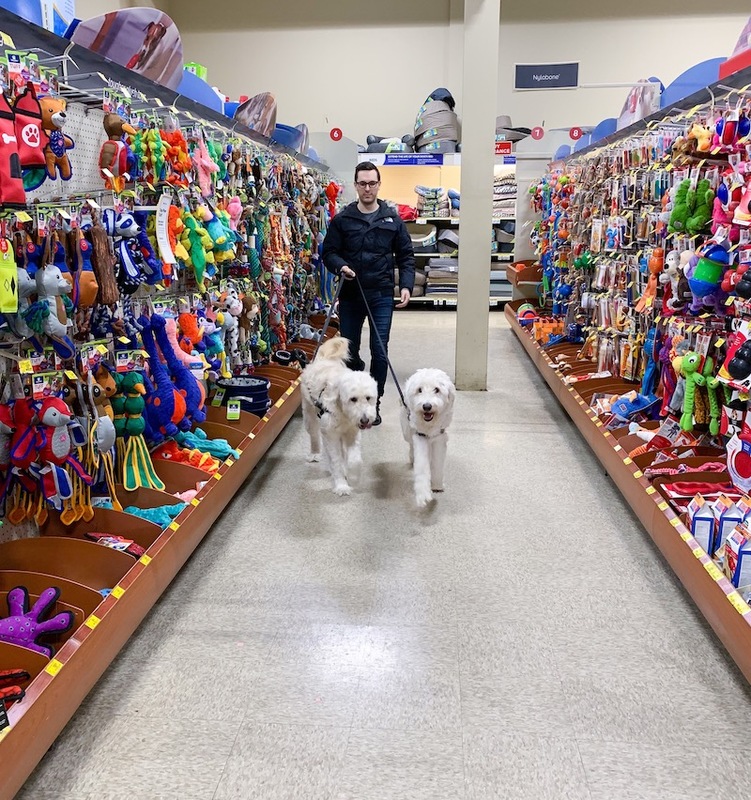 The dogs had to take a stroll down PetSmart’s toy aisle! They were in heaven with all the new toys! Sophie literally buried her head into the toy bins with excitement, ready to find the perfect toy! 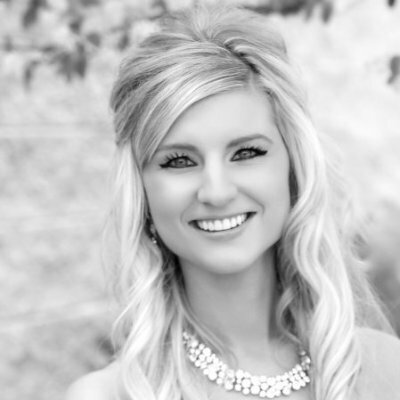 The next day, we did a little photoshoot! And the dogs were getting a bit irritated that they were taking pictures with the bag of food instead of eating the actual food from the bag! lol. 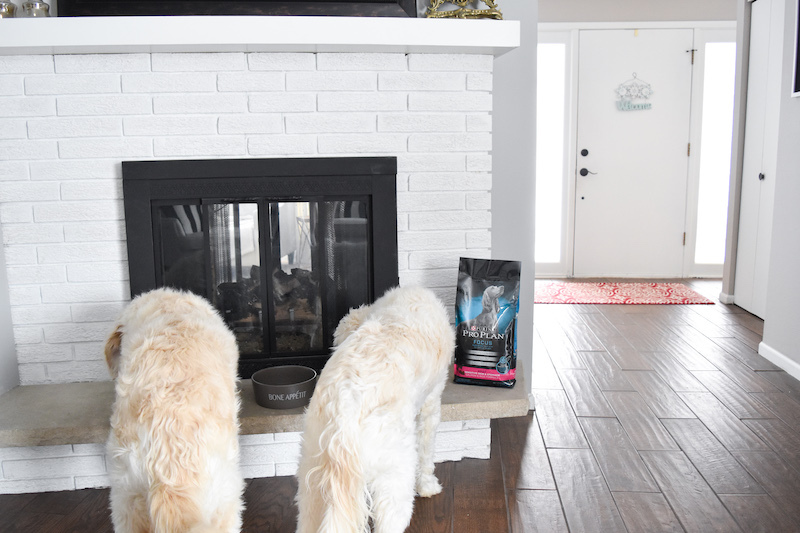 The pups were finally happy when I gave them a heaping bowl full of their Pro Plan® Focus® Sensitive Skin & Stomach Salmon & Rice! They literally licked their bowls clean! 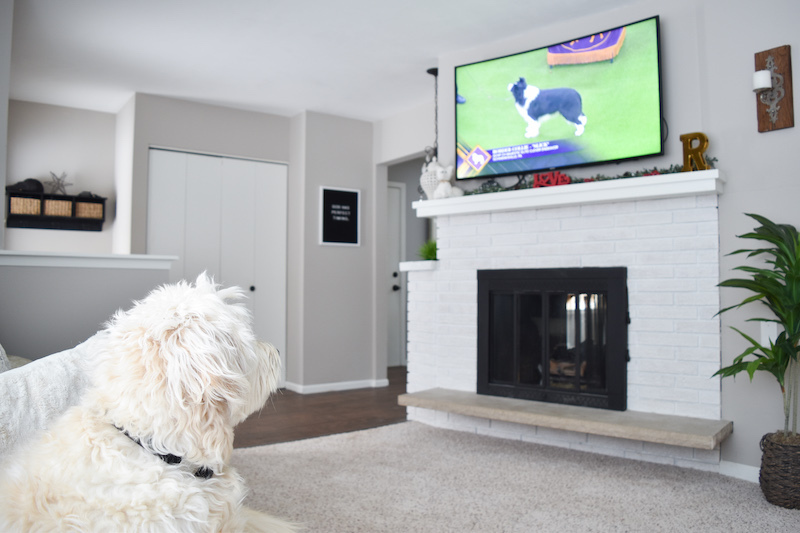 Did you know that Purina® is a sponsor of the Westminster Dog Show and that 11 of the last 12 Westminster Best in Show Champions were Fueled by Purina® Pro Plan®? I thought that was so interesting! I definitely didn’t know that! Purina® is also hosting a bracket challenge for the upcoming Westminster Dog show which you can learn about here. It sounds super fun! In addition, you can visit YourPetOurPassion.com to learn more about Purina® Pro Plan® promotions, the bracket challenge and more! You can even get up to $4 OFF a 47-50-lb. 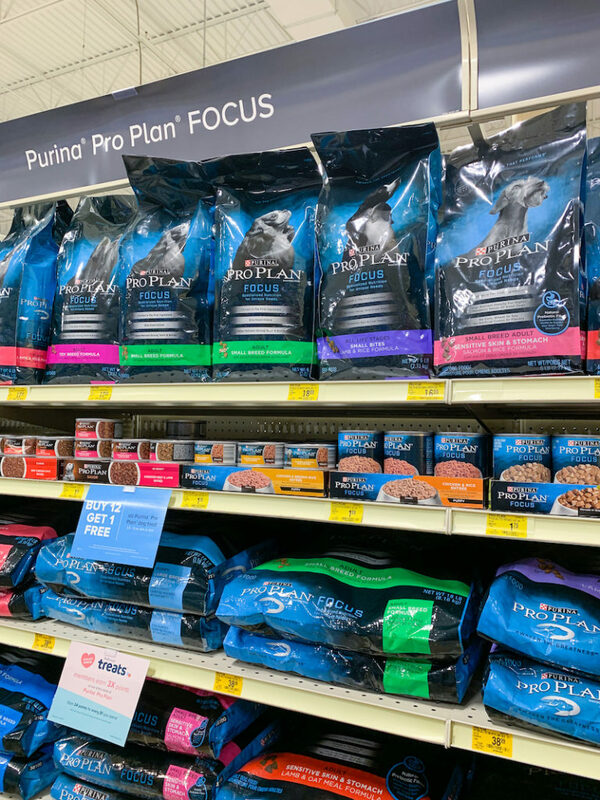 bag of Pro Plan® between now and 3/3/19! 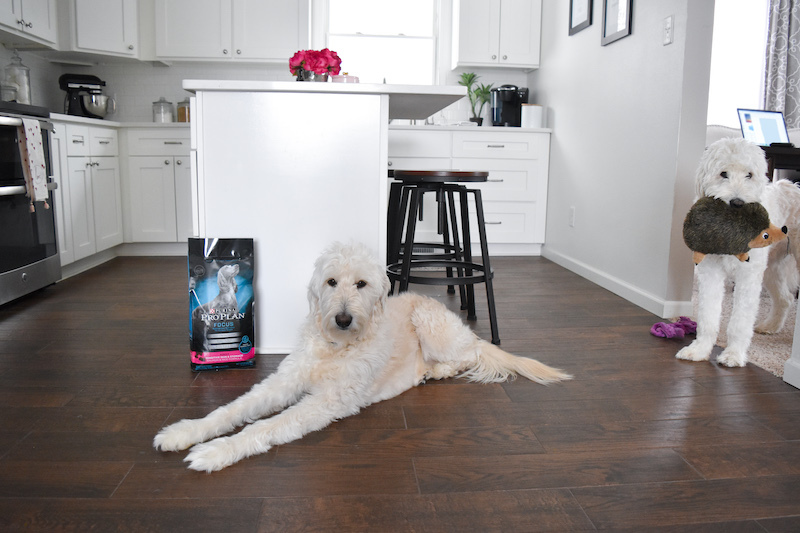 Purina Pro is one of our favorite brands for our doodle! I haven’t taken her into a pet store in a while, it’s well overdue! 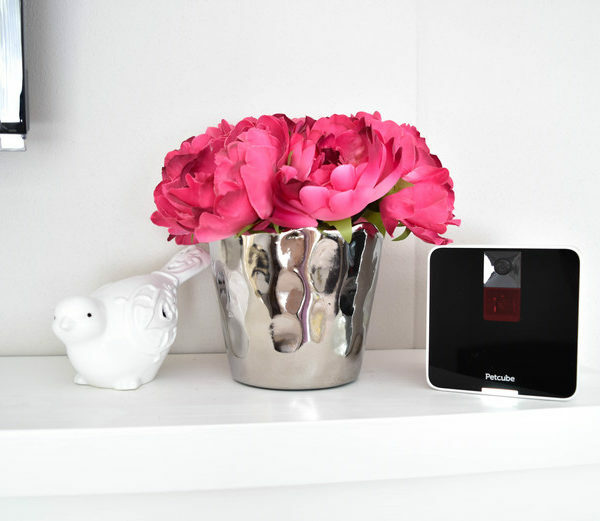 Ummm… your home is so pretty! I love the way you decorate!! 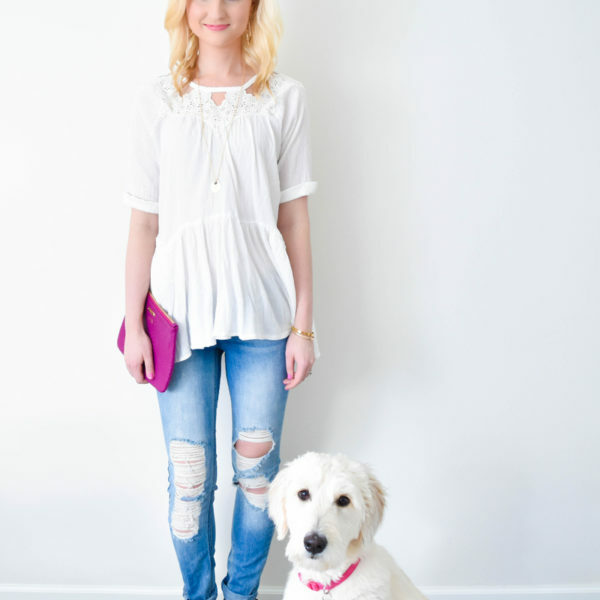 Also – you’re pups are so adorable! This is too cute! 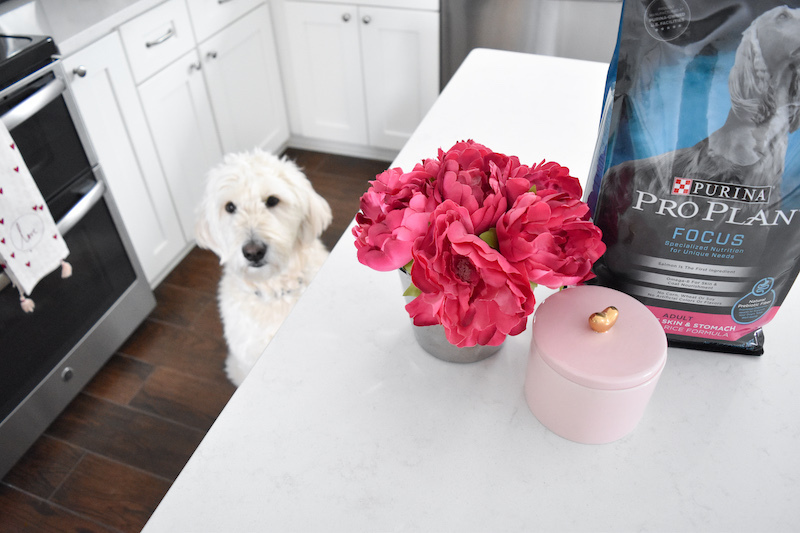 Can I ask where you got the pink jar on your countertop that has a heart on it? It’s adorable! 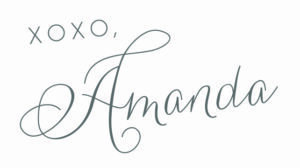 ← Looking Back on 2018 + Free January 2019 Printable Calendar!